When a sappy Hallmark birthday card just won't do, Happy Birthday memes are a good choice. Besides saving you a bit of money and helping you cut down on paper waste, funny birthday memes beat traditional cards and are much easier to share. How Are Birthday Memes Used in 2019? Happy Birthday memes are used in a similar way that birthday ecards are used — to wish other people a happy birthday over the internet. Ecards are typically sent by email via an ecard platform, but memes are more versatile since they can be saved to a computer or device and then sent as image files by email, text, private online message or social media post. Image: A dog wearing a party hat sitting at a table with a piece of birthday cake. Text: "Happy birthday! In dog years you would be dead." Meaning: This meme hilariously and cleverly brings attention to the recipient's age (and the fact that they're getting older). Image: A sloth crawling across a road. Meaning: Sloths are slow moving creatures, so this meme perfectly captures the speed at which the birthday wisher moved to wish the recipient a happy birthday — that is, if they decided to do it the day after or later. Here's a good handful of funny birthday memes to consider sending to that special friend or family member when their birthday rolls around. It's been said that the greatest gift you can give someone is your presence. Ain't that the truth! Is there anything more fun than celebrating a birthday with a bunch of glitter confetti? Maybe only if actor/comedian Rob Huebel is the one throwing it. Every girl deserves to feel like a queen on her birthday, so what's more flattering than getting a happy birthday GIF from the queen (or music) herself? Your meme recipient might not share a birthday with a scientific hero and their birthday might not fall on the same date as any notable scientific event, but a geeky meme like this is enough to inspire them to wonder how the stars were aligned when they were born and what significance it might have. Everybody loves those quirky little yellow minions from the movie Despicable Me, and if they claim not to, they're probably lying. This GIF is perfect for wishing any kid, teen, young adult, adult or even senior a happy birthday. Avengers: Infinity War is out now and everyone has a big Hollywood crush on the whole cast. Here are a few of the hunky male actors wishing their fans a happy birthday. Cake is one of the best parts of birthdays, and this hamster really knows how to celebrate. Time to chow down! Drake might just be the king of memes thanks to his relatable song lyrics. Here's to reminding the birthday boy/girl that they only live once! There are cat people and there are dog people, and the dog memes are arguably just as strong these days at the cat memes. Just look at that grin on that golden. He knows it's his big day. Is It Soap or Birthday Cake? No, Tide PODs are not safe to eat. Yes, they still make funny memes. As long as your birthday recipient fully knows that this was one of the biggest jokes of 2018, feel free to send them this one! 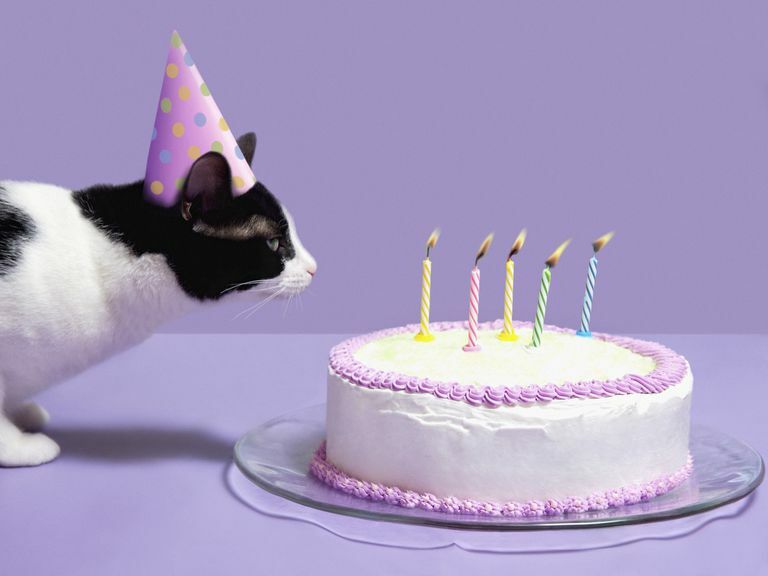 We couldn't make a list of memes without including at least one cat meme, so here it is: a group of furry felines looking just as enthusiastic about birthdays as they do on any other regular day. Crying Kim Kardashian isn't a new meme by any means, but it never gets old. Send this one to that girlfriend, sister, aunt or coworker who loves celebrity gossip and drama. This intense birthday GIF from Bodybuilding.com is perfect for that friend, relative or coworker who's a total gym rat. How about a little protein powder with that birthday cake, huh? We all know at least one person who's always quoting lines from SpongeBob SquarePants at the most random times. Give them a SpongeBob-inspired birthday wish this year in recognition of their wacky taste in TV shows.